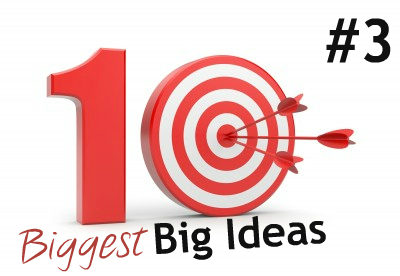 The 10 biggest ideas in the Bible? We’ve considered God and His creation. Now we need to probe the problem. 3. Our profound capacity for love has been perverted into a self-love that drives a charade of independent divine status, in mockery of and in sickening rebellion against the loving leadership of our good God. Within three biblical chapters God’s perfect creation is corrupted to the core. It is corrupted from the core. And the story of God’s resolution to our relational rebellion takes the whole canon to fully resolve, leaving only two chapters for the briefest glimpse of a post-fall new creation. This is the great tension in the grandest of meta-narratives. Lovingly created for relational interdependence and trusting dependence, the human race is marred by love perverted and trust destroyed. The manifestation of the fall, the fruit, if you will, was in the eating of the forbidden fruit. Yet the core of the event was at the level of the heart, not merely a matter of rule-breaking. The corruption was caused by a love turned inwards, by a rebellious spurning of God’s right to rule in love, and by a fatal distrust of His good Word. A God-given capacity to love another, delight in another, live for another, trust in another and give to another was twisted, perverted and corrupted. It became the horrific reorientation of the power of divine love into a love of divine power – shamefully manifesting in a love for self, delight in self, living for self, trusting in self and giving to self. Now the god of a human heart is the perceived good of that same human heart. Instead of lovingly trusting a loving and trustworthy self-giving God, the default wiring of humanity is to hate and despise Him, performing the charade of god-hood as if that is really about self-concern, independence and power. Even the pathetic performance shows a profound corruption of God’s true nature. Believing the lie, we present a lie. Every person a theologian by birth, and every person profoundly wrong. God is not self-concerned and power-obsessed – it’s not just the “who is God?” question we answer so badly, but also the “what is God like?” question. Sin re-orients the heart, taints the mind and manifests in broken behavior. Some shake their fist at heaven in acts of overt rebellion, demonstrating the horrific and grotesque nature of sin by the evil that they do. Others shake their fist at heaven in an act of apparent goodness, diligently demonstrating their ability to do good in a self-loving independence from the God who alone is good. Even righteous deeds are as filthy rags. Whatever is of independent un-faith is sin. Sin is the tension in every biblical narrative, and every personal narrative. It isn’t a question about whether we can do good, or whether we can be empowered to do good. It is a question about what or who can ever recapture our hearts and draw our incurved souls from addiction to self, to gaze on the truly lovely, the genuinely loving and the profoundly trustworthy God who made us for participation in His love. A great series, not to mention challenge to come up with our own list. I though this one on sin is possibly the best short account I’ve read – really helpful.